For a number of years, we have been carrying out Lithographic Printing Bournemouth . At RP Printers, we offer a comprehensive range of litho printing services. 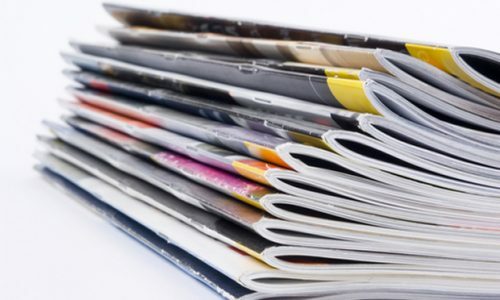 We cover everything from flyers to magazines and much, much more. As experienced litho printers, we only use professional equipment and materials to ensure a high standard of finish. When you choose RP Printers, we will help you choose the best printing method to suit your requirements. With years of experience in the industry we have developed all the necessary skills needed to ensure a professional standard of finish. 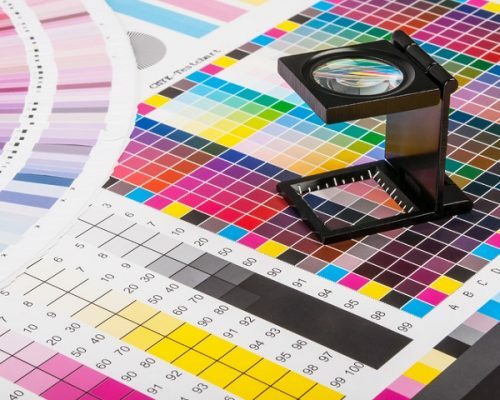 Having provided quality litho prints to both individuals and businesses throughout Bournemouth for many years, we have developed a well-known and valued reputation. If you’re in need of lithographic printing in Bournemouth, then be sure to make RP Printers your first port of call. Call us on 01202 577917 and we’ll be more than happy to assist. What Can Litho Printing Be Used For? For more information on the what lithography can be used to print, be sure to get in touch with us. When you choose RP Printers, we’ll ensure that litho printing is the best option for your requirements. 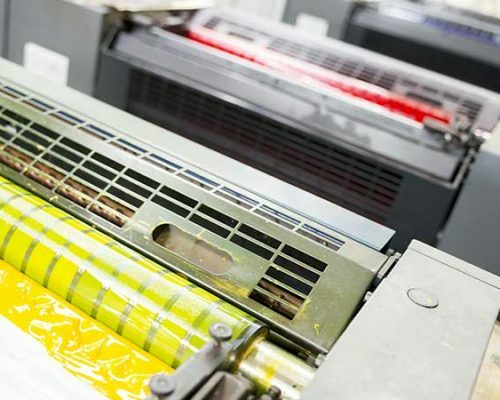 We use professional lithography machines to ensure one of the best standard of litho printing in Bournemouth. Using customised stone and metal plates we can transfer any type of printing onto many different types of smooth surfaces and materials. At RP Printers, we pride ourselves on working closely with our customers and we always aim to go the extra mile. With a team of lithography specialists, we can assist in both the design and printing process. We are always on hand to assist and answer any questions that you might have about the service that we offer. As with any type of printing there is a set printing process for lithography. All printed colour images are made up of primary colours cyan, magenta and yellow. This is also known as the key colour Black (CMYK). The artwork design is then set-up on a computer and all the colours on the artwork are separated into CMYK and used to create a plate. The plates are then collected together and inserted into the litho press. Each plate is then coated with a specific colour and then offset onto a cylinder (blanket). The cylinder is then used to make an impression onto the paper. The colour mix together to create the desired printed product. 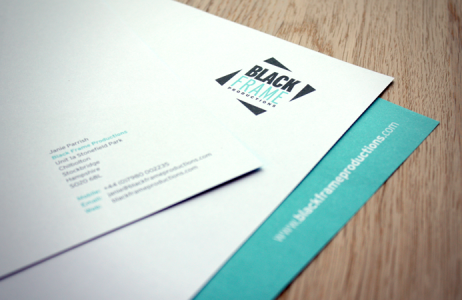 If you’re looking for printing company that offers litho printing in Bournemouth, then be sure to contact RP Printers. We have years of experience in the industry and have all the skills needed to ensure a professional lithographic print finish. We offer a comprehensive range of lithographic printing services and cover everything from booklets to posters and much more. When it comes to needing a company that carries out lithographic printing Bournemouth, be sure to call us today on 01202 557917 to discuss your litho printing order. Lithography was invented in 1796 by a German author and actor, Alois Senefelder, to produce cheap theatrical works in wax. In present day lithography, the artwork is made of a polymer coating which is applied to a flexible metal plate, usually aluminium. To produce an item using lithographic print, the surface of the flat stone plate is made rough and etched slightly, and then divided up into hydrophilic areas that accept a film of water, and therefore will repel greasy ink. The hydrophobic areas will repel the water and accept the ink, due to the fact that the surface tension is far greater on the greasy image region, which remains dry. How much does lithographic printing cost? At RP Printers we price all lithographic printing work on an individual basis. Simply get in touch and we’ll be happy to give you a quote for the work that you need carrying out. Digital Printing tends to suit shorter print runs, whilst litho printing is more for longer runs. Digital involves printing a complete copy of a file at a time, whilst its lithography produces each required number of copies from a page separately, before the pages are collected together. Litho uses a plate, whereas digital prints direct from file to the machine. How do I place an order for litho prints? If you’re in need of litho print work carried out in the Bournemouth area, then be sure to get in touch with RP Printers. We offer some of the most competitively priced printing services in the local area. What is a lithograph poster? Lithograph posters are one of the most used forms of lithography. Due to the printing process superior quality posters are produced.